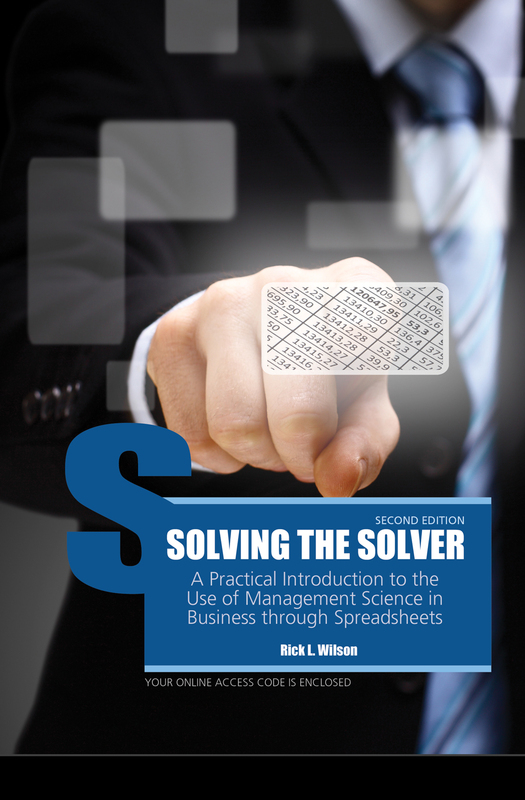 The book Solving the Solver: A Practical Introduction to the Use of Management Science in Business through Spreadsheets compliments an 'active learning' instructional approach to applying management science techniques in practice. The conversational style of the book engages the student and allows them to forget that they are using sophisticated quantitative techniques. Before they realize it, they have mastered useful, applicable quantitative topics that weeks before seemed scary and unapproachable. The book utilizes lessons learned in the author's 25 years of teaching experience in helping the student see how the practical use of quantitative models can truly help 'save the world'.